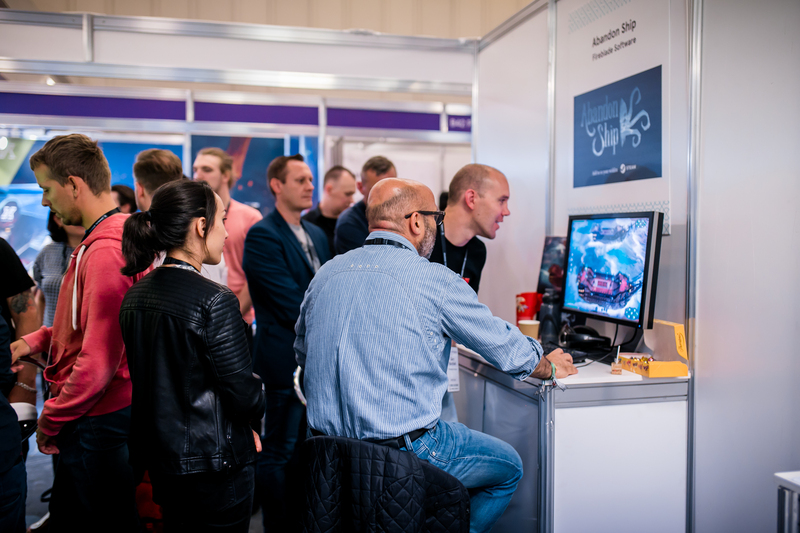 At Develop:Brighton each year there's a dedicated area within the Expo called the Indie Showcase, featuring 10 independently developed games not published by a third party that have been shortlisted by a panel of industry experts. One of these 10 games will be judged overall Indie Showcase Winner by the judging panel and there will also be the chance for all delegates to vote for their favourite game during the event in the People's Choice Award. If you'd like to be one of the studios showcasing your indie game at Develop:Brighton 2019, then just enter your game into our competition by completing the form below. Deadline for entries is 20 May. Submitted games will be evaluated by a panel of games industry professionals appointed by Develop:Brighton. The judging panel will review all entries and select 10 finalists. Successful finalists will be notified the w/c 10 June 2019. The 10 finalists will receive a three-day pass to Develop:Brighton, up to five Expo passes, pre-event publicity and a profile on the event website. Most importantly however, the finalists will be able to show off their game to all the developers, press and publishers at the event. The 10 finalist games will be further evaluated at Develop:Brighton by the judging panel. Each judge will then select their top 3 from the Indie Showcase. Points will be awarded based on these votes, and the game with the most points is the Indie Showcase Winner. Conference attendees will have the chance to select their favourite game from the Showcase by voting onsite. The game with the most votes will be announced as the People's Choice Winner. The Indie Showcase and People's Choice winners will all be announced to press and delegates at Develop:Brighton on Thursday 11 July 2019. Anyone can enter as long as you’re an independent game developer with no more than 15 people in the studio, the entered game is not publisher funded and is not published by a third party, the development budget for the game must be less than £1million and your game has been created in the “indie spirit”. More than one game can be entered per developer. All games must be a Release Candiate, Beta or have been released after July 2018. If your game is complicated and you want to make sure that judges understand and play it correctly then you can attach a video link and any other background information to your submission form. Once you’ve submitted your game we cannot accept any updates. Your submitted game can run on any of these platforms: PC, console, web, mobile/tablet/handheld or VR platforms. Games for the following VR platforms can be submitted: Gear VR, Google Cardboard (or equivalent), HTC Vive, Oculus Rift DK2 and consumer Rift , PlayStation VR, OSVR and Google Daydream. If your game is to be released on both iOS and Android, then all being equal Android submissions would be preferred. The submissions deadline is final – nothing received after 23:59 PST, 20 May 2019 will be considered for the Indie Showcase. If your game is shortlisted you will be required to demo your game within the Showcase area during Expo hours on 10 and 11 July. We will provide a table and chairs, monitors and supply Internet connections (if required), but you will need to bring your own PC/console. The submitted game must be created in the 'indie spirit' by an independent game developer, Develop:Brighton reserves the right to refuse any game at its sole discretion. All entered games must be in a "beta" state or better (i.e. games must be feature-complete). At least 1 level of each game must be complete and fully playable. The entered game must not be published by a third party at the time of submission. Before submitting a game, the entrant must have obtained the written permission of all persons or entities having any rights in the entered Game. If submitting via a download link, studios are responsible for the security of the link and password protection of files. Game updates are not permitted once a game has been submitted. All entrants must have acceptable licenses in place for all middleware, game engines, software and technology utilized in the games creation. By completing an entry form all entrants thereby agree that all information supplied can be used for promotional purposes. Each finalist will be responsible for their own travel costs, meals, accommodation, and any other associated costs. Any individual finalist who is unable to attend may officially nominate a proxy attendee. Develop:Brighton reserves the right to cancel, terminate, modify, or suspend the Indie Showcase Submissions at its sole discretion. The Judges decision is final and cannot be appealed against. Any information or materials submitted via the entry form may be used for promotional purposes if your game is shortlisted. Just in case we need to contact you regarding your entry. Which platform does your game run on? Do you have a vdeo of your game? Please post the link here. If BETA please list any known issues, bugs or planned improvements. Images should be high res jpg file.